The long awaited second album from Callie Bennett is finally here! From traditional native songs to bona fide pop hits, Callie steps into her own as not simply a 'native American' artist but a musical force from Native America. Filled with passionate vocals, beautiful melodies and powerful arrangements, you will be transported to another realm as you listen. Produced by Greg Miller and featuring Larry Dunn of Earth Wind & Fire on the hit single Hope. This is the 2017 Native American Music Award Winner Best Gospel Inspirational Record of the Year. 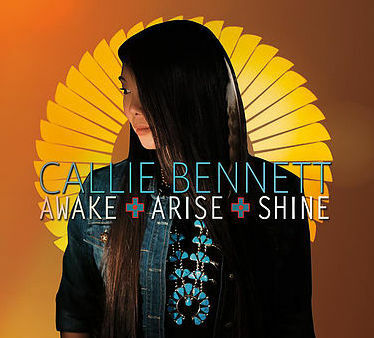 In addition, Callie Bennett has been the 2017 Native American Music Award Nominee Best Female artist of the Year & Best Gospel Inspirational Record of the Year, and 2013 Native American Music Award Nominee Best Female Artist of the Year & Best Gospel Inspirational Record of the Year.